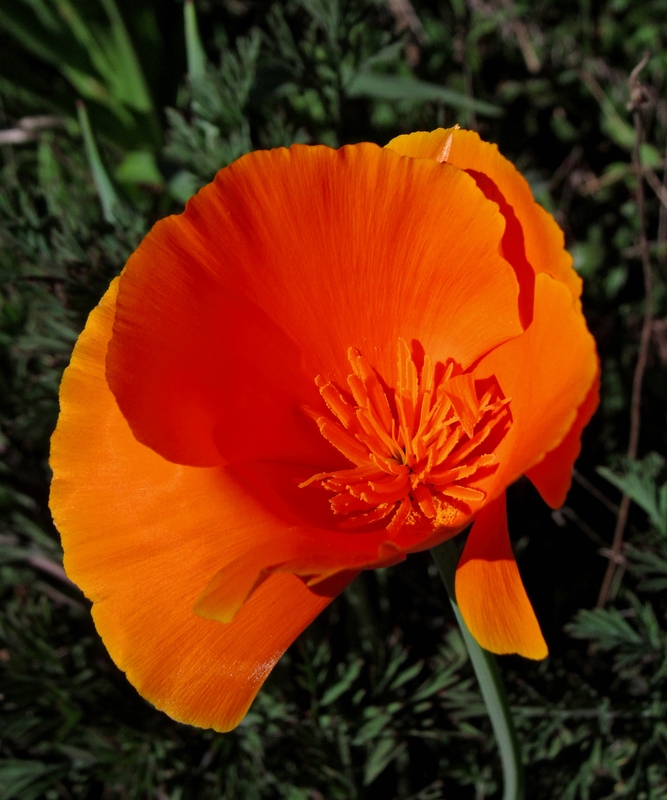 There’s something irresistible about the California golden poppy — I really love this time of year when they start blooming all along the bike trail and by the side of the roads. 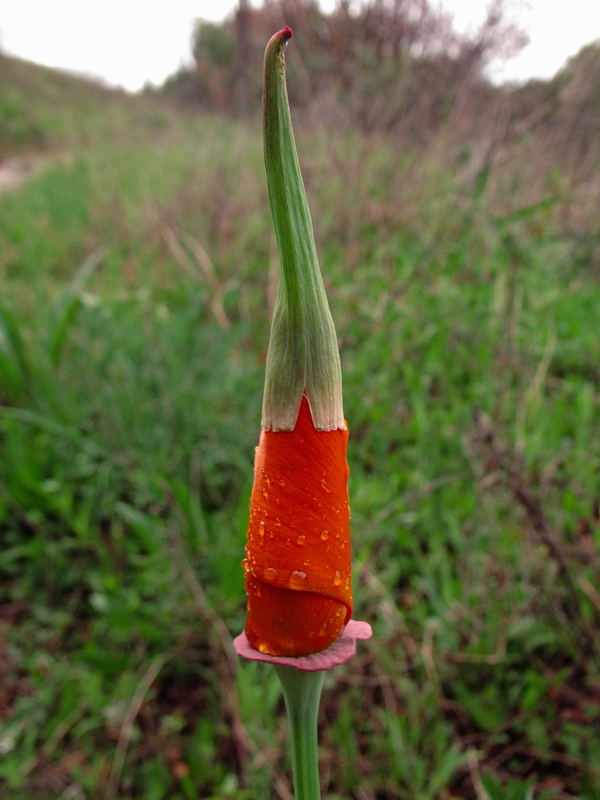 I found this specimen yesterday afternoon when the clouds rolled in, bringing rain and a thunderstorm. 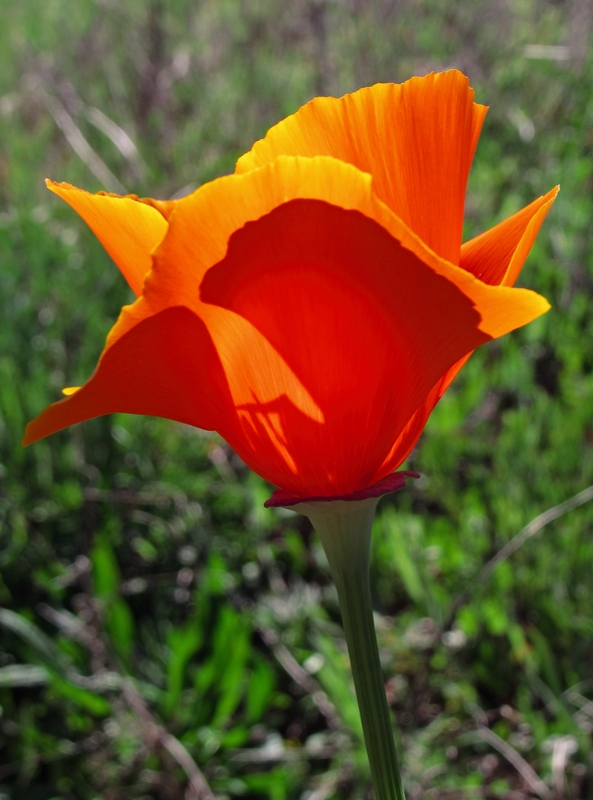 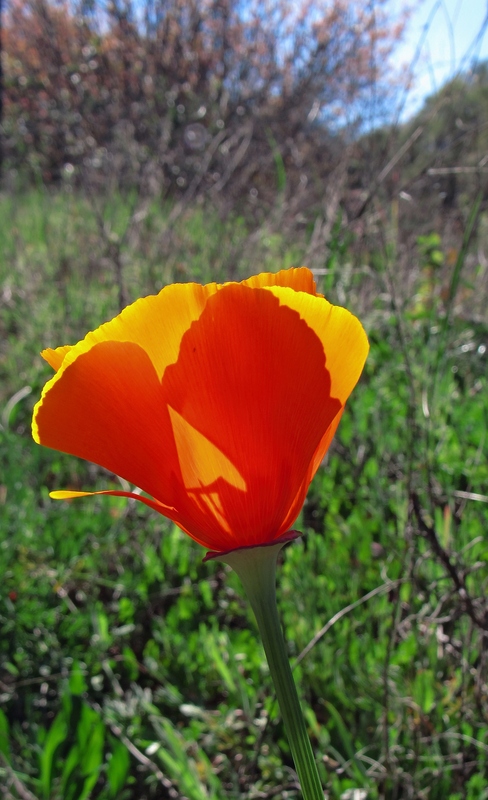 I went back today and found that same poppy with its petals flung wide open, basking in the warm afternoon sun.